The pay-per-view sales are down for the shows far below projections. HBO and Showtime live cable viewing for both fights didn’t do well in numbers based on the announced approximation by the producers or accurate/padded figures they are reluctant to divulge. Brats and crocs aren’t ecstatic about the grim facts that have come in. 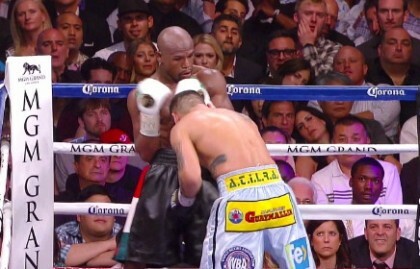 Had the people been remiss in doing their part and had majority of the fans, as a form of protest, failed to keep their distance from the recently concluded “Mayweather-Maidana” and “Pacquiao-Bradley II,” PPV result for the said events could have ballooned to more than double. What’s the handwriting on the wall? Rematch fights usually do much better than the previous ones, yet oddly the “Pacquiao-Bradley II” did considerably less than the first bout. While a fight by a boxer immediately subsequent to his fight that garnered the second highest PPV sales in sport’s history was expected to yield numbers not distant from the aforementioned top grosser bout by the same “TBE” (“the best ever”) superstar. Yet it is unthinkable that “Mayweather-Maidana,” notwithstanding help from jerks, did much lower numbers than half of what “Mayweather vs. Alvarez” achieved. People Power in boxing is victorious. A rematch with “El Chino” Maidana and a fifth meeting with “Dinamita” Marquez are intriguing matchups for Mayweather and Pacquiao in the future, should the Argentinian and Mexican hulks win their respective “tune up” fights. But will the promoters be hopelessly foolish to ignore sanity again and forgo real huge profit from such marketable productions by insisting to stage them prior to the most lucrative, loudly clamored and long-awaited Mega Bout between Pac and Floyd. Manny Pacquiao and Floyd Mayweather Jr. have only each other to fight next. And we all have each other to make it happen as we persevere endeavoring to heal ourselves and the Sweet Science. Truth and people have prevailed in their most recent fights. And it’s great that heavyweight legends Muhammad Ali and Lennox Lewis added their voice to the world chorus shortly after Floyd’s controversial majority decision win over Maidana: “Honestly, the only fight I want to see for Mayweather is Pacquiao” – (Lewis). “Congratulations Floyd Mayweather. Maybe after you rest up, we can see you rumble with Manny Pacquiao” – (Ali). Boxing has just been served. Everybody wins and gains except the paranoid or “apostates” who may even go worse for fear of losing their hold or thrones within their self-made cultic kingdoms.